So I will be pulling this element upward by addressing it's class, which is column-center-inner. The value 30 is arbitrary. You gotta adjust this value by trial and error. But if you're gonna do this often, I suggest you get yourselves useful add-ons, like MeasureIt. Even though the CSS code above will do the job, applying it to your whole template will not be a good idea because it will shift your posts up in all the pages in your blog. It is okay if you're having the margin problem in all of your pages. In that case, you can apply the code in Step 2 to all of your pages by going to Template Designer - Advanced - Add CSS - Paste the code - Apply to blog. Hey, I tried this, and it worked! Haha. Dyou have any suggestions or tips on how to fix this? @The Raspberry Scribbler: Have you removed the code from your blog already? Because I can't seem to find the code in place in any one of your blogs. If the problem is still there, place the code in your blog and get back to me. How can i do it for mulitple pages, for example for 6 diferent labels? @yourminigames.com: Im afraid you'd have to replicate the same code 6 times. Cheers. Hi. I'm trying to reduce the margin on my left-hand sidebar, however nothing's working. If you look at the page as a whole, it looks as if the whole section underneath the header is shifted to the right. Thanks so much for your help! I have problem in margins in my blog can you help me it is a small problem and it can be solved very fast if you helped me. Sorry for the late reply. Sure thing. What's the problem? as i have entered HTML codes to explain my problem so if you can chat with me at Facebook to solve my problem it will be better and faster so this is my profile send me friend request. I do not have a Facebook account (not a fan of the whole social networking stuffs). Please encode your HTML before pasting into Blogger's comment system, or, you could start a question thread here and get back to me with its link. Do you know how can i remove reply button from blogger comments ? without removing threaded comment ? Another question please you know that when i press reply to a comment the comment box with the smiles box picture jump down to the comment that i press reply to it and the vertical and horizontal position changes to be under the comment but i do not want the horizontal position be changed as when i press reply i see the comment box with its background with the smiles box picture both comes out of the post layout to reach the left side bar widgets can i prevent that from happening and only the vertical position changes not the horizontal ? I'm not quite following. Could you make your question a bit concise? Also, an annotated screenshot could help to explain your issue better. i have added line at the end of every post by and i have customized it by css code it appears perfect in google chrome but in firefox it appears that there are big space under it but how can i make it appears perfect in all browsers is there are a css code that by it i can force something to be margined only in firefox not in chrome ? Unfortunately, there isn't a way to apply browser-specific CSS code. BTW, I've seen your blog in Firefox, and there doesn't seem to be any gap at all. What am I missing? Could you send me a screenshot of what you're seeing? it is not working in both browsers firefox and chrome what can i do ? the second problem.. i will tel you about it in the second reply. description of posts is perfect in google search but description of my blog is wrong it shows some parts of posts title and content but i want the description that i have entered it in setting > basic > description and setting > search preferences > Description why description of my blog that i entered it in this places not showing in Google ?? 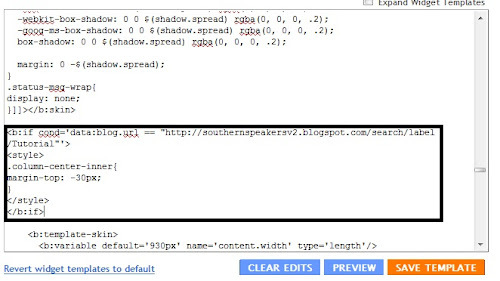 Try adding description meta data to your template's HTML. Google search 'Blogger Meta Description' or something to that effect and look up for tutorials. You'll stumble upon hundreds of methods on various SEO websites. Also, the changes will not be immediately visible. You need to wait for Google to re-index your blog to see if the description has worked. my blog looks good in all resolutions except 1024 * 768 and down it looks not good so is are any code to make check of the resolution of the visitor if it is 1024 * 768 then make zoom out automatic ? I'm afraid I'm not aware of such code. Do poke around Google though, you might find something useful. Thanks but as you can see my avatar in comments is not showing now so how can i re upload my avatar ? i think i have deleted it from google picasa by mistake also my blogger avatar is still there but in comments as you can see not showing so what can i do ? 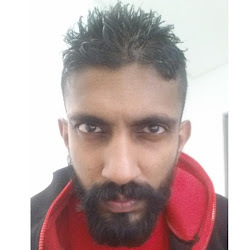 If you have Google+ upload your picture there. Otherwise go to your Dashboard and look for your Profile page. but does that code will appear only when i search Google for my blog home page ? or it will be the defult description for all topics in my blog as i do not want that ? This is all SEO related, and I'm not well-versed in it. You can't hit the target, if you don't give it shot. So give it a try, and see if it works. 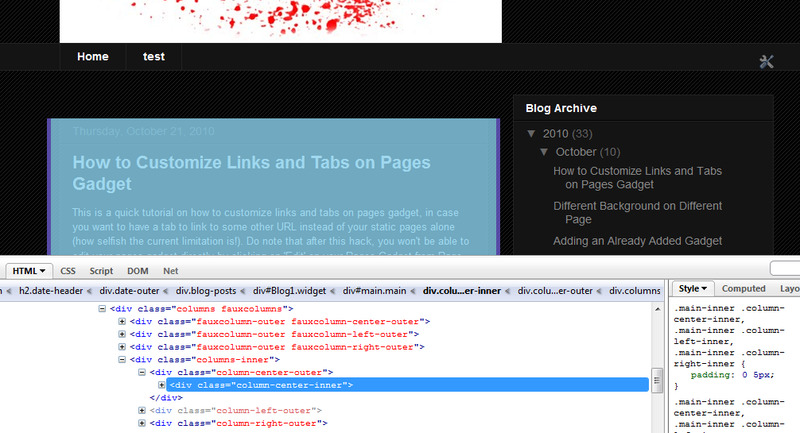 You can use a test blog if you're afraid of messing up your template. But do note that these things take time to appear in search result, as some times, it'll take up to a month (or maybe even longer) for a blog to get re-indexed. but you will notice that avatar in first comment is clear but the comment that published after i conceted my g+ with blogger seems not clear as my avtar in google plus is bigger than my avtar in blogger so when they both resised to 45px * 45px the avtar which is 250px 250px of google pllus stretched to 45px * 45px so it looks strange. but how can i fix this ? also i have not see that thing in bloggers of people that linked it with google plus. Can we take this to the forum? Post it in the forum (I've given you the link before) and get back to me with its link. I'm an official TC in Blogger help forum. Webmaster is a whole another Google product that I am not familiar with. Unfortunately, my expertise is limited within the boundary of Blogger..
thanks brooo.. its very helpful..! First of all, great blog. For novices like me, your blog is priceless. I've used a few of your tweaks and they've all worked like a treat. This one's giving me some trouble, though. If I use the CSS code in the Template Designer, it works. But the HTML one is not working. This is the offending page. Hi Yoga, that last suggestion worked for me - my page addresses included .co.uk, which I changed to .com and now they are all aligning perfectly. Thanks so much for spending the time to share your knowledge - your tutorials have helped me so much with my Blog this week - Cheers! PS: sorry Ashish if your pages are still not working. Can you share the code you're using? saya kesulitan untuk mengubah margin pada blog saya? I can not view your blog anymore. Have you changed the URL? Link nya tidak bisa dibuka.